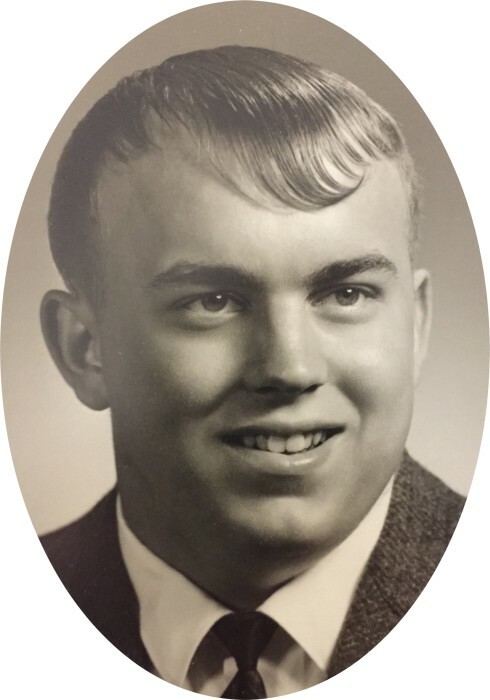 James Bryan Haertel of Horicon, WI passed away on December 5, 2018 at the age of 70. He was born September 24, 1948 in Beaver Dam WI, son of Ernest and Jean (nee Ninabuck) Haertel. Jim graduated from UW-Oshkosh with a History degree, which fueled his love for trivia. He was an avid Badger fan and owned 50- yard line season tickets to the Badger football games. He truly enjoyed those games and would occasionally share with family and friends. Jim was a fan of all sports and watched college football, professional football (especially the Packers) and baseball regularly. He is survived by his sister Lynn Haertel of Middleton, WI, his brother Richard (Charlene) Haertel of Juneau, WI, his sister-in-law Gloria Haertel of Madison. He is survived by his nieces Stacy Boyer and her daughters Chase and Carson: Sara Imhoff and her daughter Ella, Shana (Jason) Haertel-Strehlow and their son Takeo and Lezley (Ryan) Lenz and their children, Alexander, Zoey, and Bryce. Also survived by other relatives and friends. He was preceded in death by his parents Ernest and Vera Haertel and his brother David. The Berndt-Ledesma Funeral Home- Juneau is serving the family.